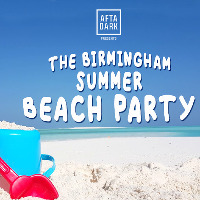 To buy tickets for this event please visit the events page: AFTA-DARK - Birmingham Beach Party - July 20th event tickets.  Real beach arena with over 20 tons of sand! The wildest party of the summer, welcome to the Birmingham Summer Beach Party!!! !